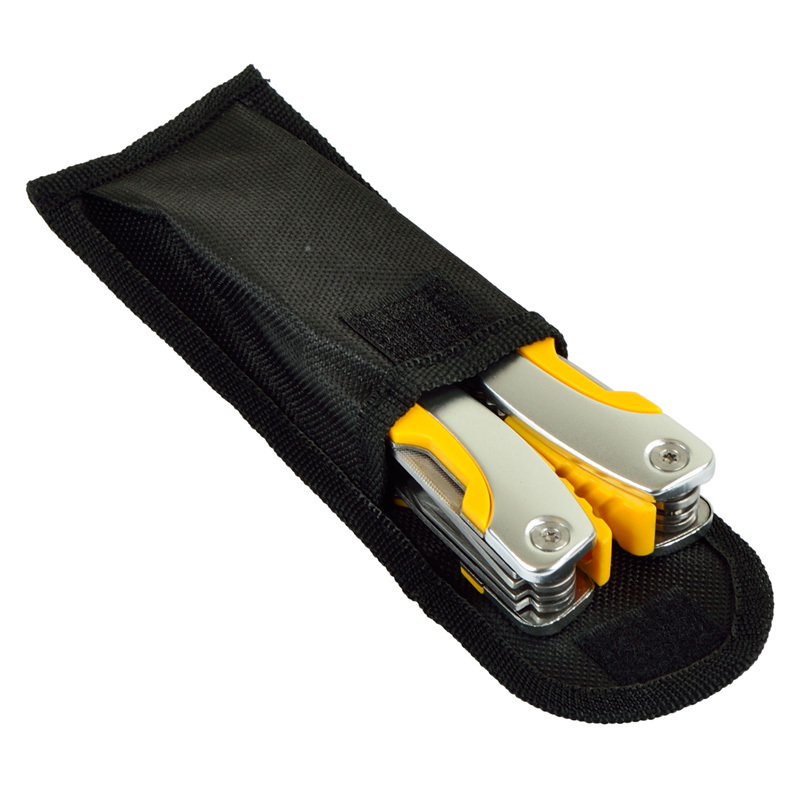 Handy Multi purpose tool provides quick access to your most used tools. 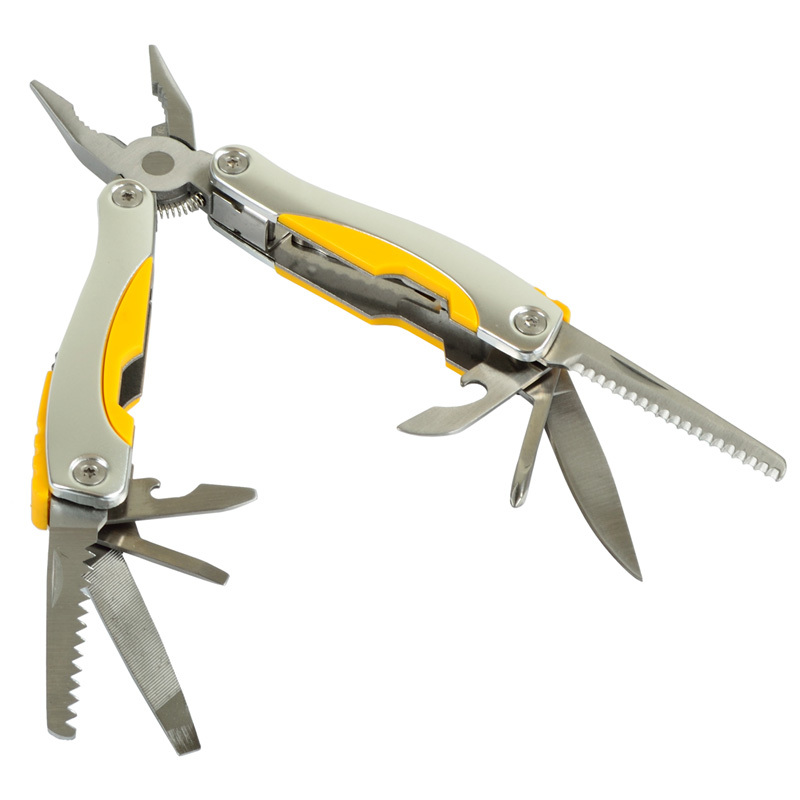 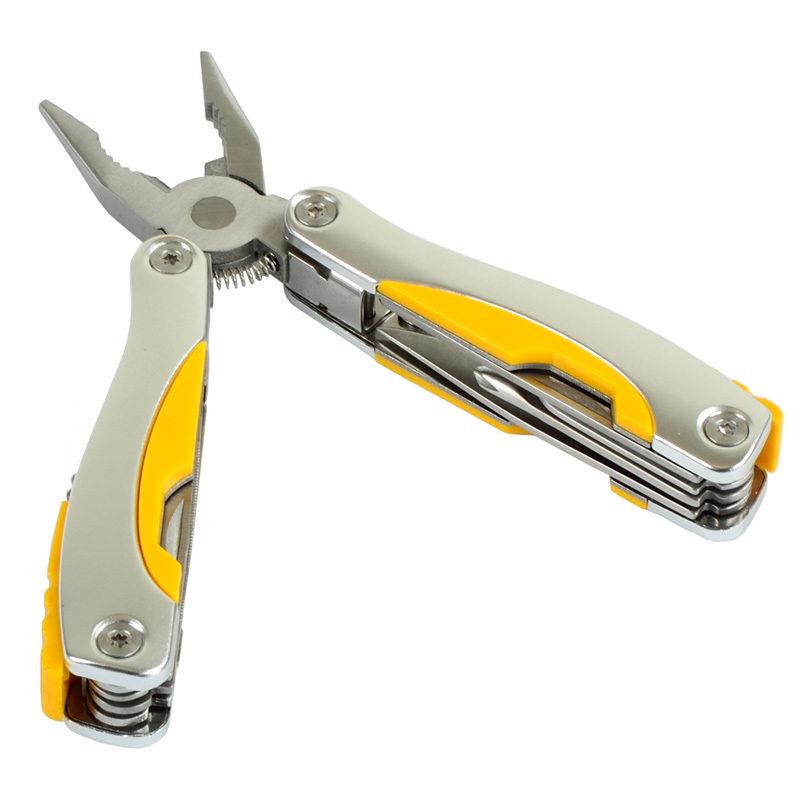 The tool features a can and bottle opener, phillips head screwdriver, blade, file, two serrated blades, pliers and wire cutters. 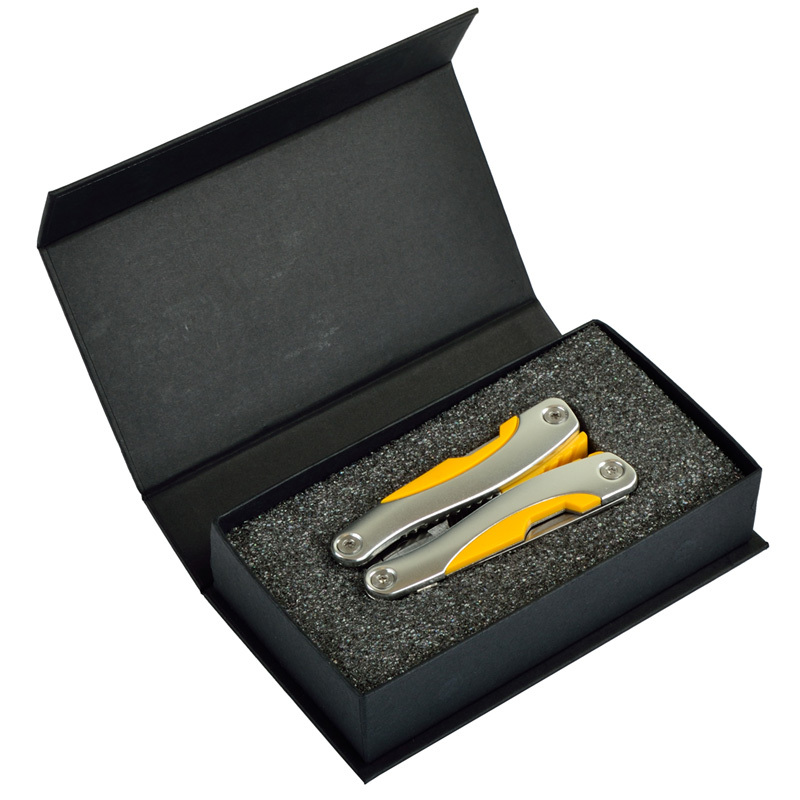 Includes a nylon carry case. 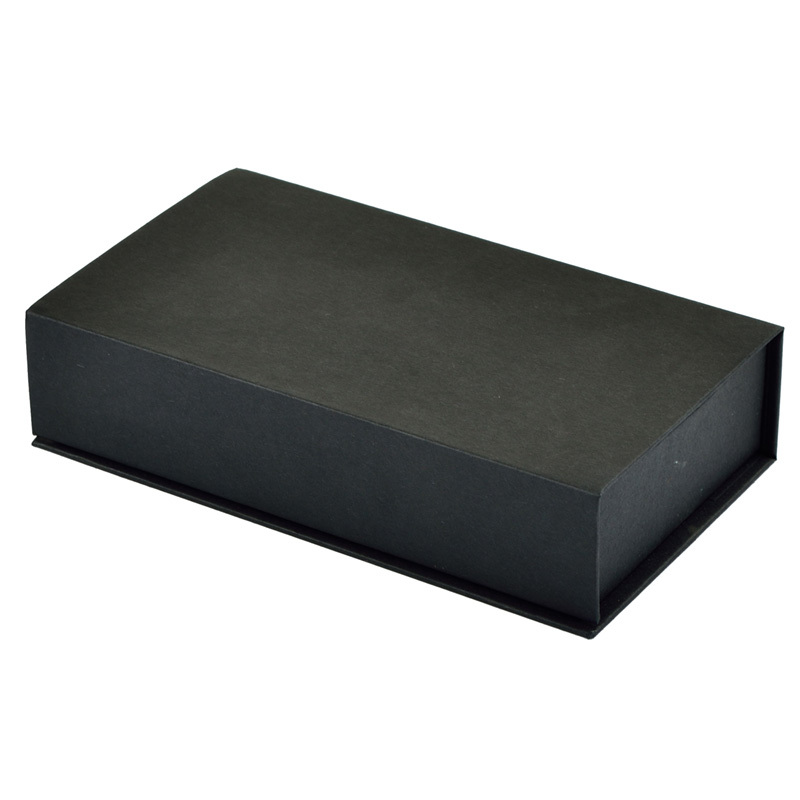 Box Dimensions: 14" x 9" x 9"